Always know the value of the collectible you’re interested in before buying on eBay. Buyers and sellers used to research items by going out to the local newsstand and buying a special-interest magazine based on the type of merchandise they sell. With the advent of digital publishing, finding current printed magazines is like hunting up a tool from the past. On the other hand, you may be able to find vintage copies of magazines for sale on the web, eBay, or Amazon. These magazines contain a wealth of knowledge — but remember that those articles were written at an earlier stage of the items’ rarity and salability; be sure to check current market conditions. You can also find websites that specialize in selling back issues of magazines. Action Figure Digest: Find out who’s hot in the action-figure biz in this monthly magazine that ceased publication around 2007. Antique Trader: This magazine has been the bible of the antiques collecting industry for more than 40 years. Autograph Magazine: This online magazine gives the lowdown on the autograph business, as well as samples of many autographs for identification. Barbie Bazaar: Once this was the official Mattel magazine, packed with everything Barbie! You’ll not find a website, but back issues of these magazines have valuable information on Barbie collecting. Dolls Magazine: Still alive and with an active website, Dolls Magazine is filled with a lot of good info. 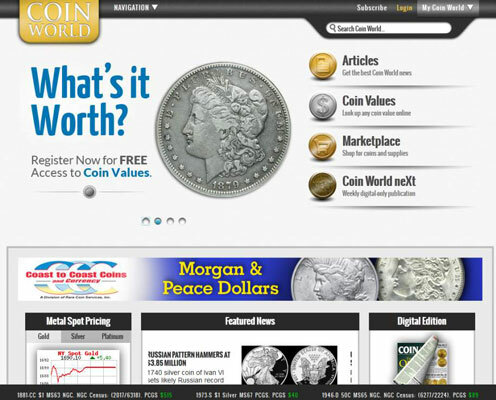 Coin World: This respected magazine has many online services available for a free registration on their website. Goldmine: This place is the hub for CD and vinyl collectors. 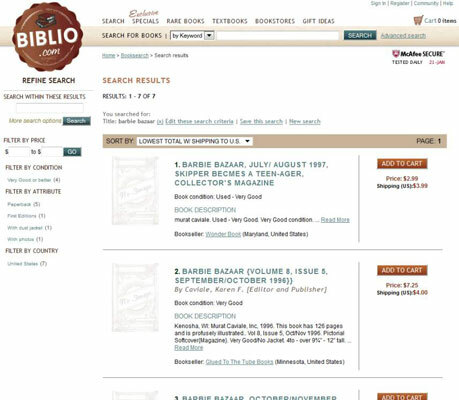 The website has many current articles and information on rare issues. Numismatic News:. Another standard, Numismatic News is still publishing a print edition after more than 50 years. The website has valuable current information for coin collectors and offers downloads with current coin values and identification information. Sports Collectors Digest: Takes sports collectibles to the highest level. Visit the website to read the stories, and sign up for a free e-mail newsletter. Linn’s Stamp News: Still alive and kicking, this site is the venerable Linn’s Stamp News. First published in 1931, the magazine carries on a tradition for stamp collectors on its website. Teddy Bear & Friends: If you’re looking for information on collecting teddy bears, this is the place. It seems that every leading magazine has its own website. Many websites devoted to different collectible areas list prices at recently completed auctions. These auctions are the best evaluation of an item’s value because they’re usually directed toward specialists in the collectible category. Most of the participants in these auctions really know their stuff. Artprice: This art auction site charges for its searches by artist but has an immense database. Autographs and More — now part of Heritage Auctions: According to the site, Heritage Autographs Library has the greatest free collection of authentic autographs on the planet. Collectors Universe: This is a major destination for coins, cards, stamps, and more. Professional Coin Grading Service: This will take you to a U.S. coin-collecting price guide. Lyn Knight Auctions: Look here for currency auctions. If you’re researching prices to buy a car on eBay, look in your local newspaper to get a good idea of prices in your community. You should also check out sites on the Internet. Nadaguides.com seems to give the most accurate and unbiased information.